After the "Top50" video, summarizing my favorite pieces, the Marvel Statues Museum is enriched with a new movie, offering a general Overview of my collection. 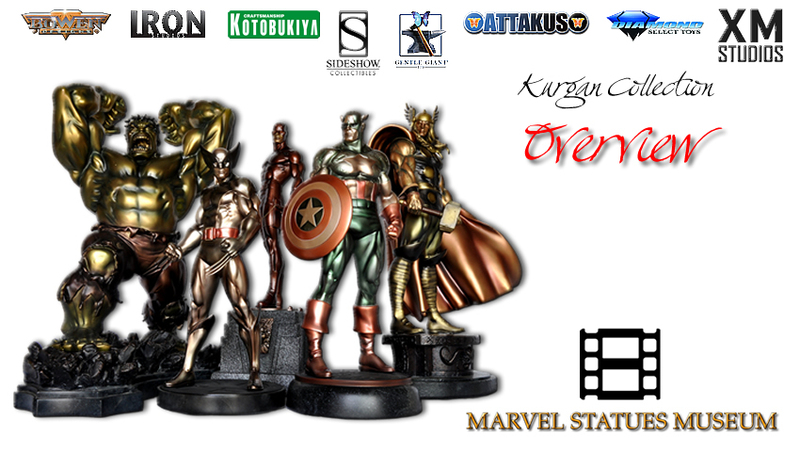 As many as 75 statues are arranged in this additional sequence of images, coming from some of the most famous Companies for this hobby: Bowen Designs, Sideshow, XM Studios, Kotobukyia, Iron Studios, Gentle Giant and others. Probably, more than one piece could be meritoriously placed in the Top 50, but (as already said) a choice had to be made. The video has been realized in a high definition quality and, as usual, offers a suggestive soundtrack, as to increase the epic and astonishing feeling that only the wonderful world of Marvel superheroes is able to evoke! The statues depicted in the video do not follow any particular order and just represent a part of the collection, as you can easily see having a look to the COLLECTION topic of the website. Now: make yourself comfortable, set the video to full screen, turn up the volume and... enjoy!